Greetings! Take no offense for what I am about to say, because you know how much I think of you, but I have truly missed J. David Weter. His synopsis for part 1 of this story was outstanding. He has not missed a beat since he’s been gone from the podcasting universe. A thought occurred to me as I was listening when you got to the part about the Legion giving Superman the statue. Weren’t the Legion possibly changing history, especially if they thought Superman was going to die, by giving the statue which in the end turned out to be a clue? Maybe I’m thinking too much about it. I did not get this issue or the Action issue when they were on the stands. I was out of comics by then; concentrating on High School and my High School sweetheart. It was probably sometime in the 90s when I finally got to read it. I thought it was great then and still do. 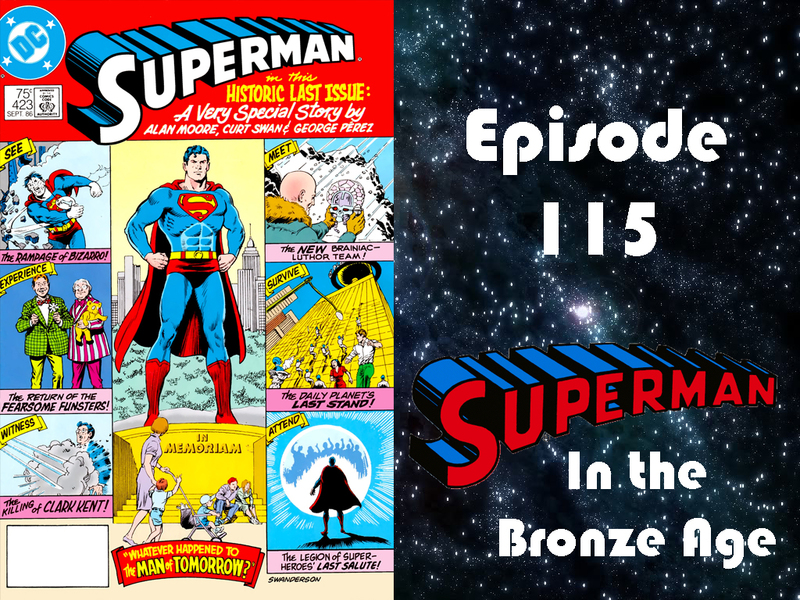 I don’t think it’s the greatest Bronze Age Superman story like most think, but it does rank up there, in my opinion. I now have the hardcover “Whatever Happened To The Man Of Tomorrow?” Deluxe Edition that combines both issues. I may have to look at it again real soon. Better let you go for now.